Are you a shopaholic and always go for online shopping at Lazada, Groupon or Hermo? If yes, here is the big treat for you and I bet you will crazy for that. What if you can get a cashback when you shop online? Sound interesting? Yes, you can get cashback up to 15% every time you spend money during shop online! This is called ShopBack. I always online shopping and I love it much. And yes, I got my cash back! Can't wait to tell you more about my experience in ShopBack! 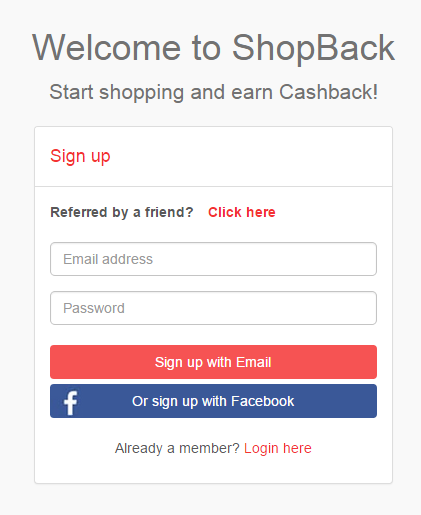 ShopBack is a shopping site that help you get the best discount and cash back more than 300+ online store come with cashback! Every time you spend online through ShopBack, they will give you extra savings in form of a percentage in your total bill as cash back! There is a lot category you can browse easily from fashion, electronic, home and living, food and beverages etc. Here is the popular online shopping website you can shop! Scroll down the frame and find the shop you want. In ShopBack, you can enjoy the best deal which has help you save your time to find the hottest promotion. For example, Zalora is having different promotion and deals include free shipping or credit card discount. 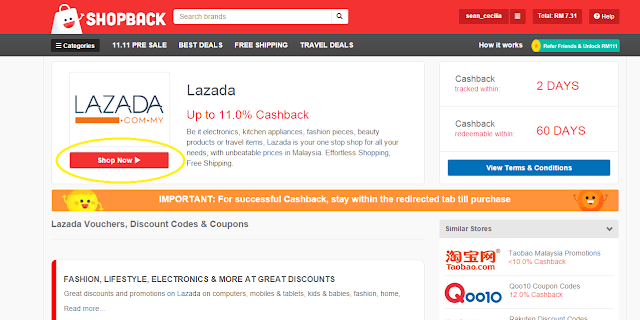 You just can get your cashback on top of discount and promo codes on Zalora! Year end always the best time plan for vacation. So ShopBack is help you get the best deal for travel include hotel and luggage from few website like Expedia, Agoda and AirAsia.com. 1. Just go to the store you want purchase from ShopBack website, and you will be redirected to the selected store. 2. Shop as usual and make your payment on that website. 3. You will get you cashback within 1-2 days in your account! Choose the shop you want. On the way redirected to the website and you can start shopping! As mention earlier, I got my cash back. So you can see my account having RM7.31 as my cash back from my last shopping. **Take note following to ensure you entitle a successful cashback. 2. Use the same device when you are shop. 3. Stay on the same page until you make your payment successful. You can watch on the video tutorial and discover how you can earn cashback with ShopBack Malaysia! You can now sign up via email or Facebook. Of course Facebook is the most easier where you can start shopping with a click of button and complete sign up. Of course, share with your friends and family by referring them and you will get bonus! This is an excited news and we should share to our friend and enjoy this amazing deals and savings together! There gonna be a crazy deals happening soon which is Black Friday Sales and Cyber Monday Sales! Follow their social media to stay tuned of the crazy deals! No more for waiting! Click HERE and shop now! I still haven't got the chance to try Shop Back yet. I don't think that vouchers are void if we decided not to purchase anything for the moment, after browsing through. I enjoy using Shop back app as I have variety choices for online apps to buy with and then I get the cash back. 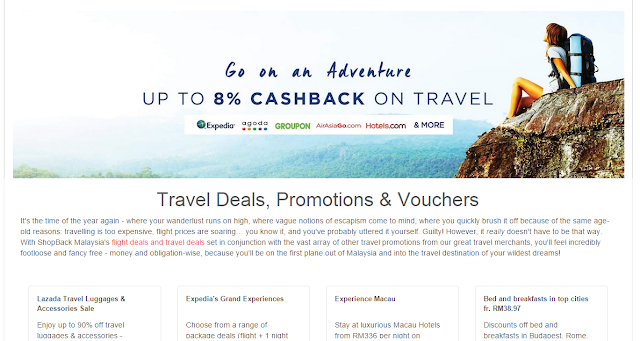 Get cashback when everytime you shop online? o.O this sound interesting. up to 15% some more. Wow! I should tell my girl friends about this. :D Thanks for sharing! Im also using this, great way to reward shoppers since most of us rely on ecommerce to get things done these days. I've missed this :( Oh well, maybe there will be more discounts in the future? 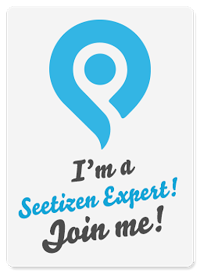 I have covered them few months back on my blog and had a great experience with them. 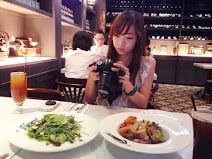 wow..its seem interesting. save more. used this to purchase my iphone cables, love the cash back! Cash back.. I like this term.. Can save more!